Ryan White, the Indiana teenager who, after contracting AIDS at age 13, advocated for a more considered approach to those facing AIDS-related illnesses. A federal program that pays for medical care for many people living with HIV/AIDS bears his name. Last year, Kribben accidentally signed up for a plan on the federal exchange — Marketplace.gov — that didn’t include his physicians. “In St. Louis, there was basically only one health-care plan available for HIV clients,” Kribben said. He said he felt that insurance carriers had intentionally left HIV health-care providers out of their health-care plans. Some insurance companies keep narrow networks of providers to keep costs down — if patients chooses to visit an ‘out of network’ doctor, they’ll pay a larger portion of the bill. With help from the St. Louis Effort for Aids, Kribben was able to change plan in the spring of 2014 so his care would be fully funded through the Ryan White program. “My medications are $2,500 a month. It would be next to impossible for people to take HIV medicine on a regular basis and stay non-detectable if it wasn’t for the funding that Ryan White provides,” Kribben said. Antiretroviral medications reduce a person’s ‘viral load,’ or level of HIV in the bloodstream. A non-detectable viral load means a person has an extremely small amount of HIV in the blood and is less likely to pass the virus on to someone else. Kribben says that’s why it’s crucial to ensure that people living with HIV receive proper medical care; to help people lead normal lives, and to prevent the virus from spreading further. This year, Kribben passed a certification exam to become an insurance ‘navigator’ for people shopping for health insurance on the federal exchange in St. Louis. He began volunteering part-time at the St. Louis Effort for AIDS just last week. Navigating the federal exchange this year will be a task: Many plans have changed, and there are twice as many options available in the St. Louis coverage area. Case managers at the St. Louis Effort for AIDS are still waiting to hear which plans will be fully funded through the Ryan White program for 2015. The program covers people who make up to 300 percent of the federal poverty level — about $35,000 for a single person. Dale Wrigley of the St. Louis Effort for AIDS said members of the Ryan White Planning Committee in St. Louis have pushed for plans with the widest possible network of providers and a robust coverage for medications. “A lot of people, both in rural and here in the urban area, have a lot of trouble getting to the doctor. Especially if you’re ill, riding a bus or having to change two buses to get there. We don’t have a lot of transportation options,” Wrigley said. Wrigley said other barriers to care would include health plans that require mail-order prescriptions, because a patient’s name would be on the package, possibly revealing HIV status to friends or family. Last year, the St. Louis Effort for AIDS enrolled about 1,500 people, and Wrigley hopes to enroll more this time around. According to the Missouri Department of Health, about 6,000 people are living with HIV/AIDS in the St. Louis area. The Ryan White program in Missouri received just under $27 million in federal funds last year. The year before, the state received about $29 million, according to the U.S. Department of Health and Human Services. The Missouri legislature’s reluctance to expand Medicaid coupled with threats of budget cuts at the federal level have led many to speculate that funding for Ryan White, which had been steadily increasing through the 1990’s and 2000’s, could be at a greater risk going forward. 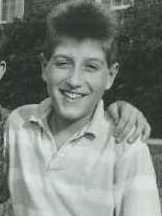 The centerpiece of the federal government’s war against HIV/AIDS bears the name Ryan White. The public might not remember him without a little context. A hemophiliac who was diagnosed with AIDS at age 13, White drew international attention when he not only had to cope with the disease but also had to wage a legal fight to attend school with his classmates in Kokomo, Ind., following his diagnosis. He died in 1984 at the age of 18 after becoming a poster child for more compassion, counseling and medical care for those facing AIDS-related illnesses. Missouri Under the Affordable Care Act: Where Are We? On Saturday, open enrollment season for Healthcare.gov begins. For the second time around, public health organizations and insurance "navigators" are holding outreach events, running ads, and looking for the remaining uninsured Missouri residents. But who are those uninsured Missourians? And how have the changes implemented through the Affordable Care Act affected the state? Hundreds of thousands of people in Missouri are uninsured. Who are they?